Potato Parcel: Send a potato message through the mail! Don’t send greeting cards; send greeting carbs! 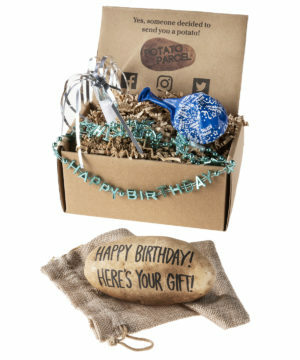 Potato Parcel is an unexpected, personalized way to send spuds with well-wishes that your recipient will never forget. The Potato Parcel website makes it easy to send your own quirky correspondence. 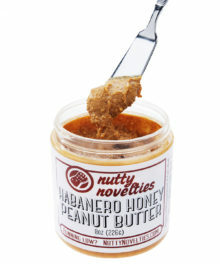 Simply enter a custom message or upload a picture. Potato Parcel will write or print it onto a potato and mail it to your recipient. 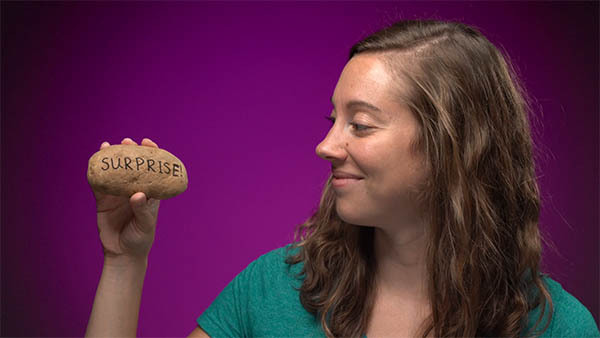 Your surprise spud will arrive days later to the delighted confusion of your target. 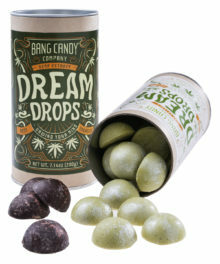 And don’t worry about your message getting mashed in the mail since each tater is shipped in a bubble-wrap-lined envelope to ensure proper potato protection (note: does not protect against hungry mail carriers). We receive so many greeting cards throughout our lives that it’s impossible to remember one from the next before they end up in the trash. But your recipient will always remember who mailed them a potato. 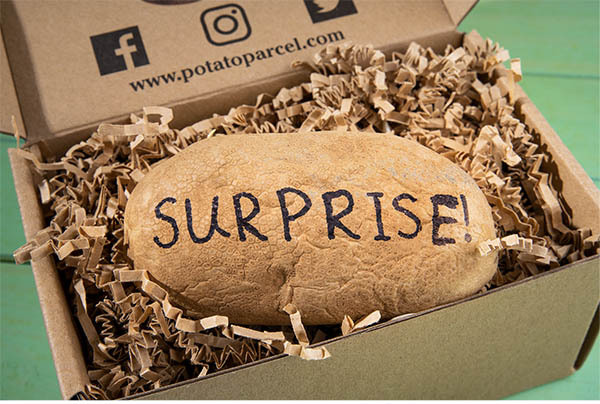 Sending a Potato Parcel is a fun way to stand out to your loved one in lieu of flowers or any time you think a friend could use a funny surprise. It replaces the saccharine sentimentality of a greeting card with absurd humor that’ll live on well after the potato expires. You knew potatoes were a versatile food, but did you know they’re also a versatile communique? The folks at Potato Parcel offer several different ways to send your crop correspondence. 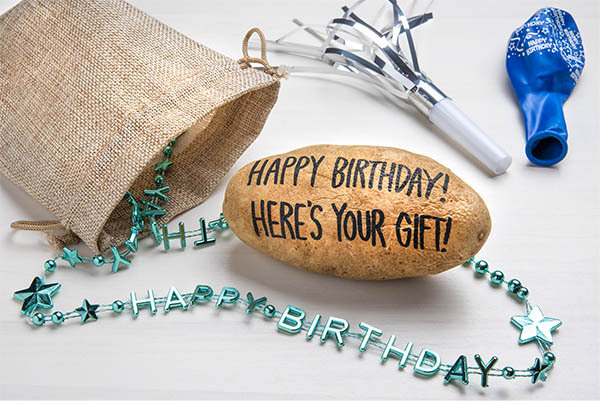 You can send a simple text message that’ll be written in marker (max 130 characters), upload a picture to be printed on the potato (a tatergram, as the kids are calling it), or send a whole birthday bundle alongside your spud. Any option you choose will be carefully wrapped to ensure your message meal arrives intact. Question: So that’s, like, a real potato? 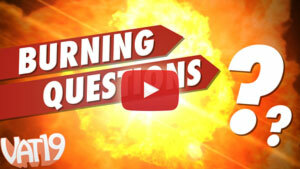 Answer: You bet! Potato Parcel uses actual Russet potatoes and writes on them. 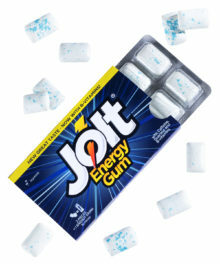 Question: Does that mean I can eat it? Answer: While the potatoes are perfectly edible, Potato Parcel does not recommend eating them. After all, there’s no telling what may have happened to them during the shipping process. 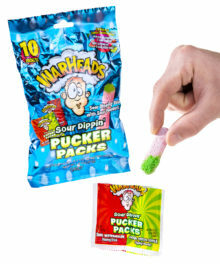 Question: Do you guys write on them yourselves? 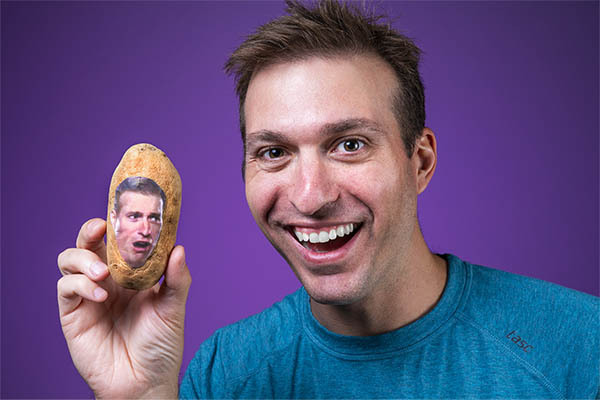 Answer: Vat19 does not write or send out the potatoes. We are merely here to spread the word about a curiously awesome spud-sending service that we discovered!